The wine I had for Thanksgiving this year was so local that it’s loco. For years I have driven past Cox Creek Cellars between Guelph and Fergus saying to myself “I really should stop in there sometime”. 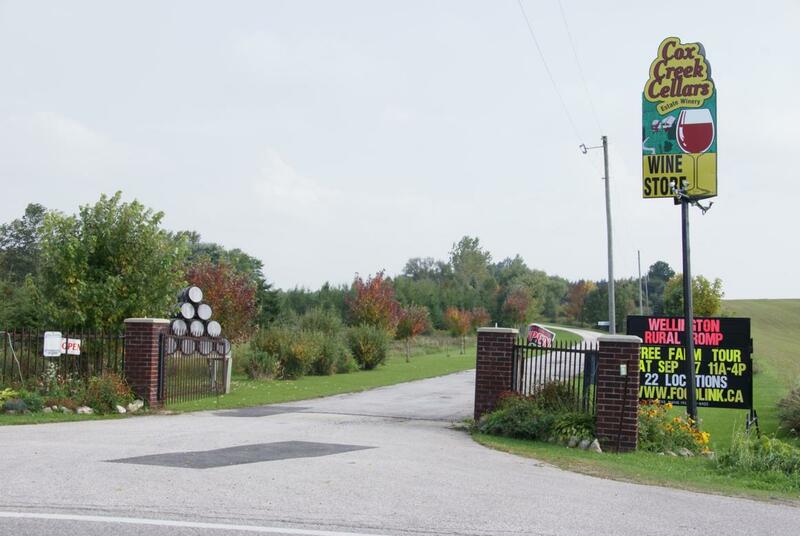 It wasn’t until I had a sudden urge for Elderflower wine (and honestly who doesn’t get that at least once a year) that I actually got around to seeing if a) Cox Creek Cellars has a website and 2) if they have Elderflower wine. In my excitement I misread their webpage and drove to CCC only to find that they have ElderBERRY wine. I have too many aroma memories of stinky socks (brother-in-Spain) to risk that taste. However, and it’s a big BUT, I did find lots there to intrigue my palate. I ended up with a Black Currant wine that tasted like a drier version of the french classic Cassis – the preferred drink of Agatha Christie’s Hercule Poirot. Delicious! I also purchased a Baco Noir wine because the grapes are grown on the premises. Grapes for wine grown in GUELPH? Loco (and local). Baco Noir is a thick skinned grape that does well in our cold climate. The wine was a found treasure. Well done Cox Creek Cellars. See you again soon! My local LCBO advertised that some Ontario Craft wineries were coming to the tasting room – I thought that sounded like a great idea so I went to the tasting room. I found this tasty craft wine that is available at the LCBO and is going on sale April 26 for $9.95. 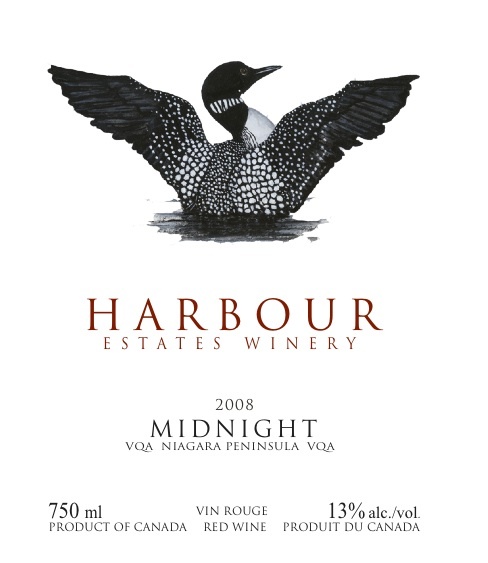 This wine is Cabernet Franc forward (56%) – which is great because I love Cabernet Franc from Ontario. It is blended with some Cabernet Sauvignon (32%) and Merlot (12%) – which is also great because I love letting the winemaker show off their skills – something they can’t do as much with a single varietal wine. It is a light wine, low in alcohol, and reminds me a little of a really good homemade wine or a light Beaujolais. It is a simple wine that is a great addition to my “I can’t stop drinking this” category. And for my many neo-hippie locavore friends this is as good as it gets – small winery, good product, and only 93 kms from the café. Powerful nose, with rich black fruits, smoke, eucalyptus, mint and anise. Soft on the palate, with a delicate richness. Blackberries, subtle blueberries and spice are noticeable. A truly elegant wine. Here are 5 Questions that will turn into Resolutions for Y210K. 1. “Why don’t I drink more white wine?” If you’re a serious wine drinker then you owe it to your palate to have a Sancerre, a Chablis, or an Ontario riesling wine once a month. I motivated myself to do this by purchasing a great vintage wine bucket from Chat Noir in downtown Guelph. 2. “Why don’t I drink more local wines?” Why do you think the French drink french wines? It’s not simply their almost fanatical devotion to La République that keeps them drinking close to home. A wise man once said, “When in Provence, drink from Provence. When in Guelph, drink from Niagara”. 3. “How can I try new wines and not buy a whole bottle?” First of all this is crazy talk – the obvious answer is the wine tasting at the Red Brick Café. But if you still insist on crazy talk then go to the LCBO and sign up for the Vintages tastings events at your local store. You get to try new wines and the Vintages product consultants are a lot of fun. 4. “Why have I never tried a …”. You fill in the blank with words such as Barolo, Chateauneuf du Pape, vintage Champagne etc. Just don’t say Cheval Blanc unless you are prepared to drop $2000. Let me know how your resolutions work out.